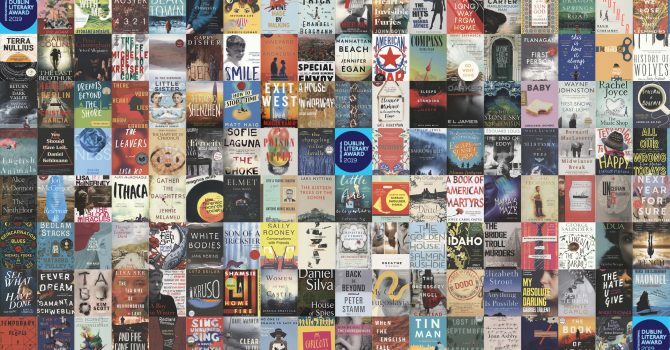 There are many genre novels among the 141 books longlisted for the 2019 International DUBLIN Literary Award, the world’s most valuable annual literary prize for a single work of fiction published in English. They include books by Omar ElAkkad, N.K. Jemisin, Victor LaValle, and Jeff Vandermeer. Sponsored by Dublin (Ireland) City Council and managed by Dublin City Libraries, the International DUBLIN Literary Award is worth €100,000 to the winner. If the book has been translated the author receives €75,000 and the translator received €25,000. The nominees were announced November 19. Brendan Teeling, Acting Dublin City Librarian, says the works were nominated by libraries in 115 cities and 41 countries worldwide; 39 are titles in translation, spanning 16 languages; 48 are first novels. The members of the 2019 judging panel are Eilis Ní Dhuibhne, Yan Ge, Martin Middeke, Hans-Christian Oeser, Evie Wyld and Eugene R. Sullivan (non-voting chair). The shortlist will be published on April 4 and the Lord Mayor of Dublin will announce the winner on June 12. Spaceman of Bohemia by Jaroslav Kalfa? This entry was posted in Awards and tagged International Dublin Literary Award, SFF in Translation by Mike Glyer. Bookmark the permalink.